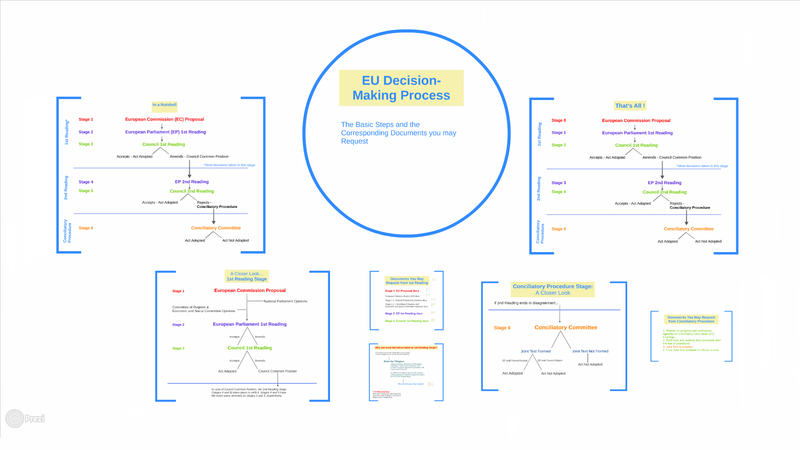 The map below explores the different obstacles we’ve encountered accessing information on decision-making processes in 12 European jurisdictions. We analysed 5 decision making proccess. It was impossible to access most of the information. There is a serious problem when it comes to contacts with lobbyists. We analysed 7 decision making process. 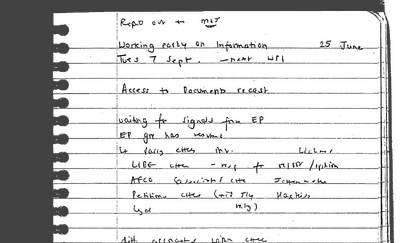 Access to information was partailly possible. There is a serious problem with record keeping: one third of the information requested was not held by the public authority. We analysed 15 requests done throught AsktheEU.org. We analysed 3 decision making process. There is a lack of record keeping of minutes of meetings. We analysed 4 decision making process. There are serious problem with disclosing information about participants in meetings, including name of public officials, companies or lobbyists. We analysed 3 decision making process. There is a clear breach of the Law: Authorities failed to process most of the access to information requests. We analysed 3 decision making process. Relevant documents for understanding decision-making processes are not proactively available. We analysed 6 decision making process. It is very worrying that there is no information available at all. We analysed 3 decision making process. 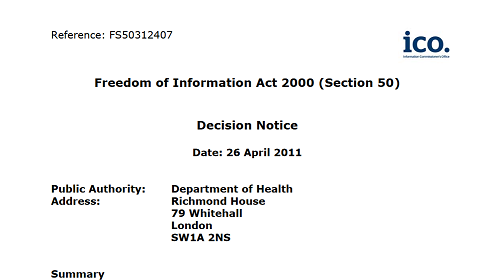 Key information on decision making processes, such as minutes of meetings and documents provided by lobbyists, was not proactively published. We analysed 3 decision making process. Relevant documents to understand decision-making processes are not proactively available. We analysed 4 decision making process. There is a lack of record keeping of dates, places and minutes of meetings. We analysed 5 decision making process. Access to the minutes of meetings and documents submitted by lobbyist is denied in most of the cases because of the cost of compiling exception. However, an analysis of these 12 European laws has told us there is no obligation to record minutes of meetings held as part of decision-making processes. 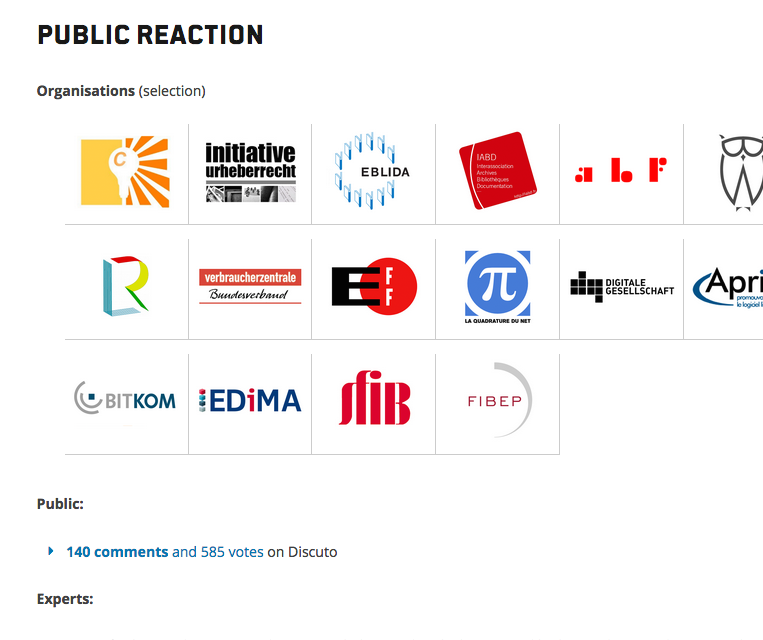 European countries are not proactively publishing who public officials meet, reasons justifying their decisions, nor records created regarding policy and legislation. European countries are abusing the use of certain exceptions to deny access to documents, such as the protection of privacy when it comes to government and public officials. LEARN MORE: DOWNLOAD THE FINDINGS IN FULL! All public bodies which bear responsibility for decision making should fall under the scope of the access to information laws. Public authorities and representatives should be obliged to keep records and proactively publish information such as their agendas, minutes of meetings, third-party documents (submitted as part of or outside public consultations) and information justifying decisions taken. Exceptions should always be applied narrowly and always taking into account any overriding public interest in full (or partial) disclosure of information. to be able to participate and hold our leaders accountable. If you are interested in knowing about a decision-making process, want to search for information, submit a request, or campaign for greater transparency of decision making, you might consider taking a look at the following materials! 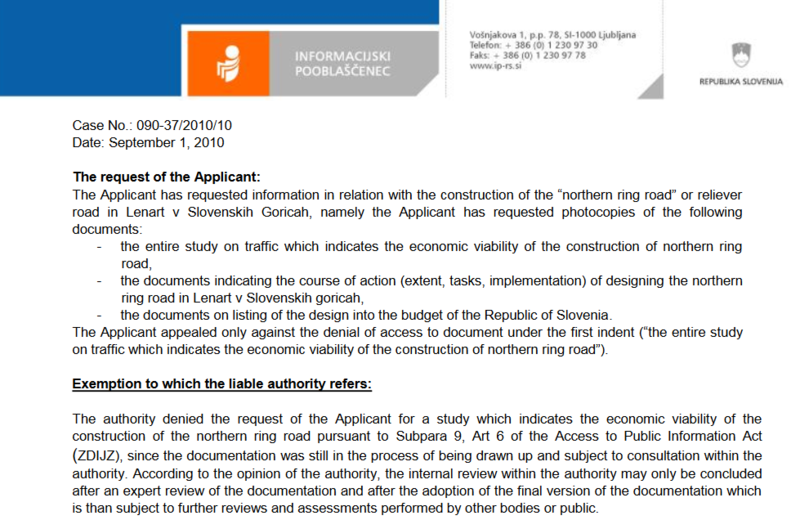 Both at a national and at the EU level, certain documents are created during the decision-making process. These documents will give you an insight into how a decision was taken. We have created these two presentations explaining, at each phase of decision making, which documents are created, which are proactively published, and which may be requested. CASE STUDIES: CAN WE KNOW HOW THE DECISION WAS TAKEN? 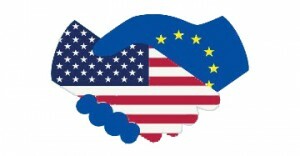 TTIP: HOW TRANSPARENT ARE THE NEGOTIATIONS? 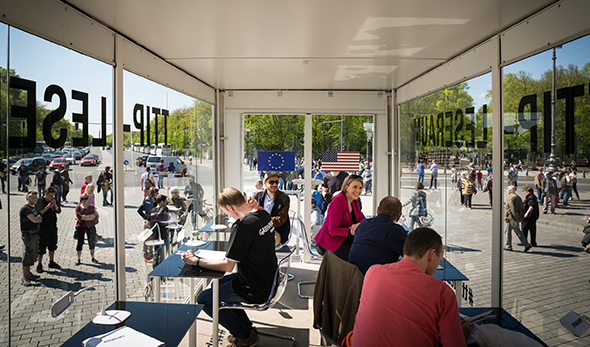 Aiming to contribute to an informed public debate around TTIP and its levels of transparency, we have investigated what information in regards to the negotiations is available, and what is not. We analysed if interactions between the tobacco industry, EU institutions and national governments are conducted in compliance with transparency rules. We looked into the legislative proposal to adopt a colour-coded food labelling system which classifies fats, sugars and salts, trying to discover the extent of the influence of lobbies. 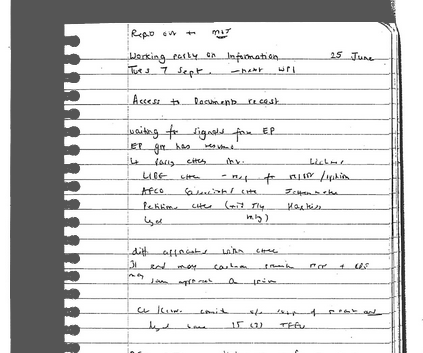 Disclosing handwritten notes containing minutes from a meeting! They tweeted, we asked for the document… they released it! The 100 MB of information release: emails, amendments and more! This image of notes from a British official comes from a batch of documents we received from the UK Foreign and Commonwealth Office. We made a right to information/FOI request to the UK FCO for minutes and notes taken by UK delegates at meetings in Brussels to revise the European Union’s transparency rules. Initially the FCO refused to disclose the information, but after a four year long legal battle and a positive decision on a ECJ court case to release information about Member State positions, the FCO pulled out and decided to provide us with the information we requested. 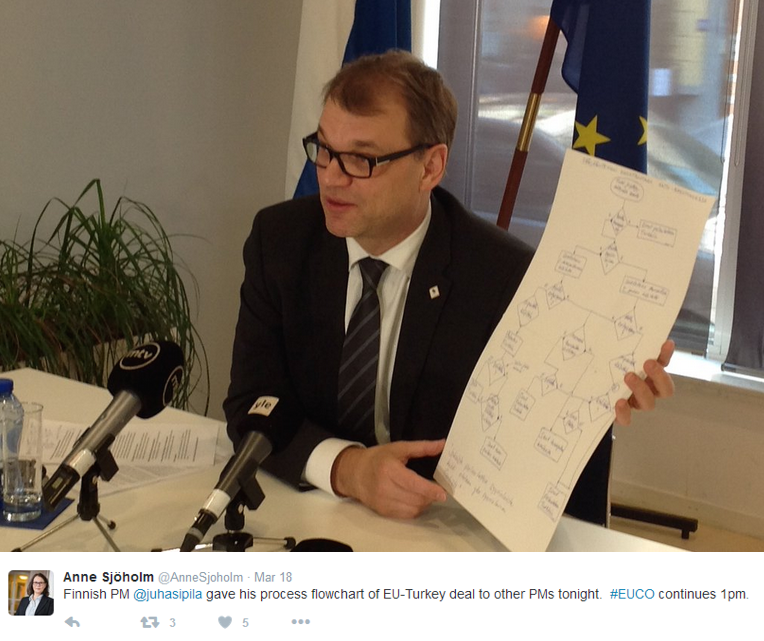 The tweet shows PM Juha Sipilä holding a document used to explain Finland’s position at the EUCO summit on the refugee crisis, which took part in March 2016. We requested access to that specific document and received an answer in less than 24 hours. The document was already proactively published! And it can be found here. 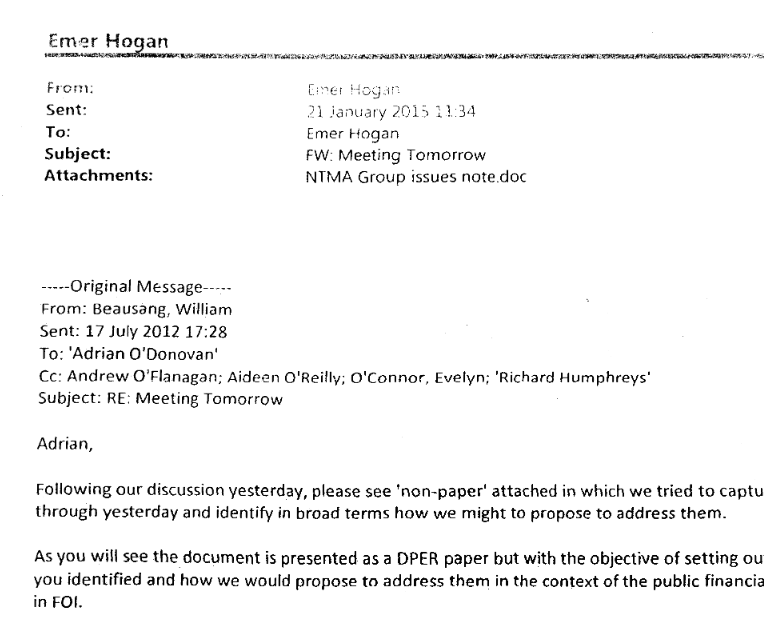 One of our partners got a 54-page response regarding his request in regards to the FOI law in Ireland. Documents include largely emails organising the meetings, but there are also proposals for amendments too. 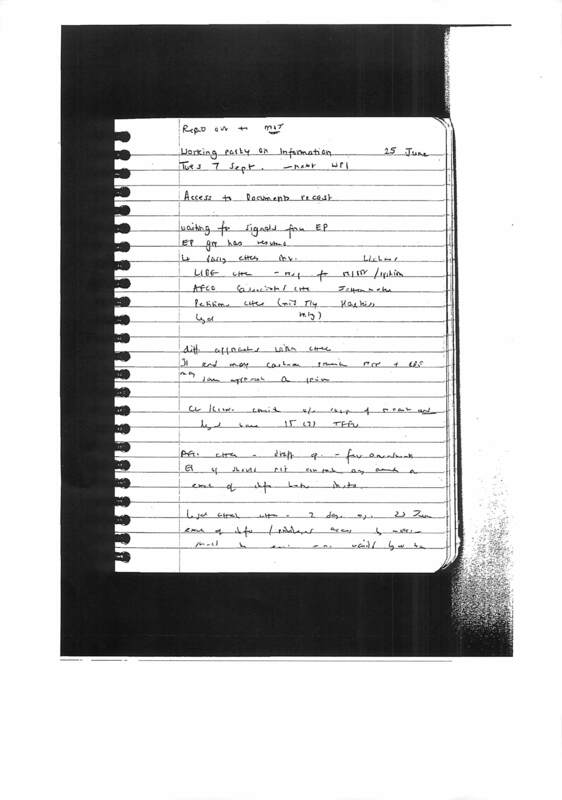 There are some redactions at the end, and handwritten notes have also been included as part of the disclosure of documents. We researched good practice examples of proactive or reactive access to information at the EU level. We will continue to add information and examples, for example, positive decisions from the EU’s information commissioner, the European Ombudsman. WHY IS IT SO IMPORTANT TO OPEN UP DECISION MAKING? 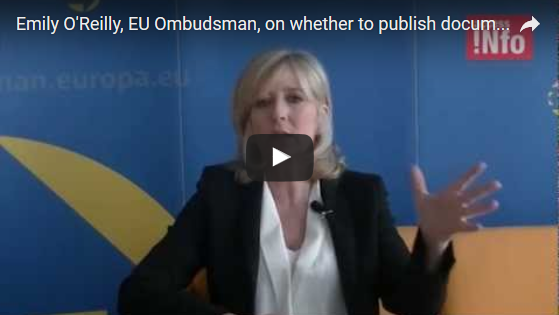 As part of our research we have spoken with the EU Ombudsman and other experts on the topic, to find out their views and understandings on the importance of transparency around decision making. Find all interviews on Access Info’s YouTube channel. In order to help activists and civil society to push for greater transparency, and secure positive changes in transparency practices, we have collected and displayed the jurisprudence relating to the disclosure of documents. You will find a series of cases from all across Europe which we hope will be useful in order to map what, where and why we can access key pieces of public information related to decision-making.